Bombshell Graphics specializes in custom print services servicing Boston and wall graphics is one of our strong focuses. Our printers can print on just about any surface and there are no size limitations. We can help your business stand out, add beautiful decor to your home, or create a beautiful custom dance floor for your event or wedding! When it comes to wall graphics, we will help you every step of the way. From creating the design of your dreams to the fast and efficient install of your image or mural, we know how to get the job done right. Wall graphics can be a great way to promote the brand of your business, whether it be your logo in the front entry hall or having bold colors on every wall. They are also great for decorating your home, from adding quotes to your living room to a full-sized superhero to your child’s bedroom! 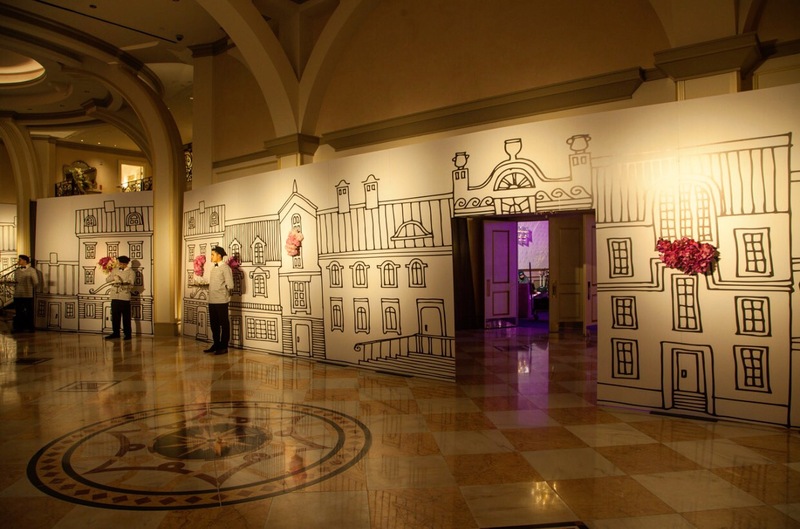 Bombshell Graphics can help transform your event and breathe magic into any environment by finishing off the room with custom dance floor printing and personalized floor graphics! Our custom dance floor printing designs really add that extra element of stunningly functional decor that is perfect for your wedding, party, gala, social event, or other special occasions! In any occasion, Bombshell Graphics provides the best quality Boston custom printing services, so you are sure to have the space of your dreams. We aim to impress, so don’t expect anything less! Bombshell Graphics offers beautiful outdoor and indoor Boston window graphics including custom signs and banners, event decor, monograms, custom advertising, and breathtaking custom Boston window graphics to meet all your marketing or business needs. It can often be tough to stand apart from other businesses in Boston, but Bombshell Graphics has the solution. 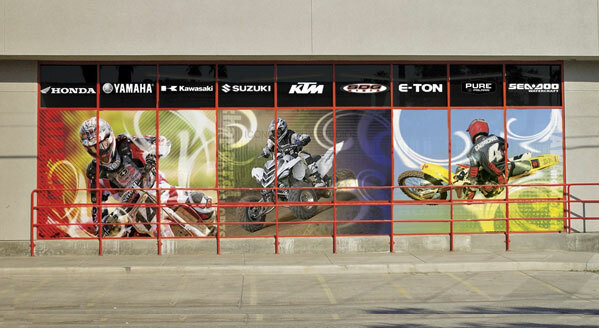 Window graphics can fit any available space requirements and can help attract a wider customer base from passing traffic or give your home that perfect burst of color, pattern, or artwork. A number of businesses and office spaces in Boston are now utilizing their floor space to add ambiance, provide a level of professional aesthetic appeal that positively impacts productivity, and enhance their property values and hiring practices through the use of custom floor graphics printing. Some residents are following this new trend as well and enhancing their homes with monograms, initials, and stunning designs that match their existing decor or motif. Bombshell Graphics is focused on providing the highest quality Boston custom printing style. Our top tier design services are only matched by our unrivaled professional printing equipment and installation experts, and we go out of our way to build and maintain amazing relationships with our clients. We do this by exceeding expectations on every project, whether it be a custom wall decal, floor graphic or promotional materials for your business. Our team is here for your needs, regardless of what you need to be done.